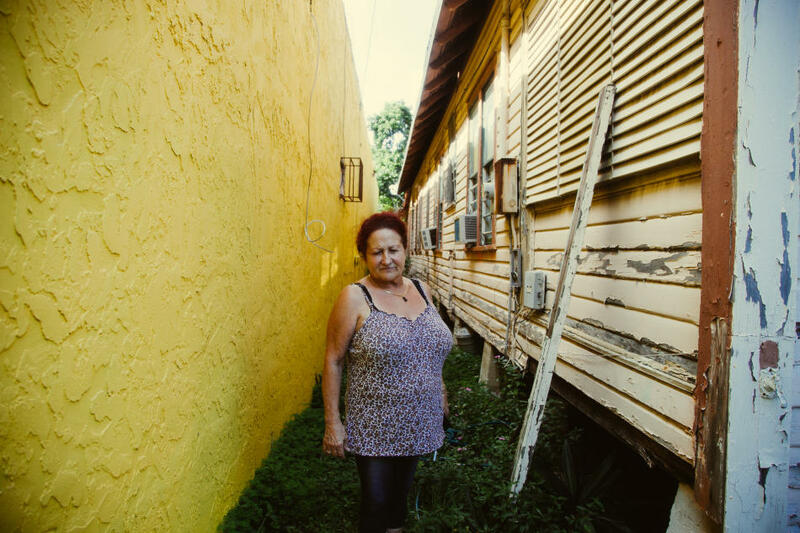 Old-Wynwood resident, Oria, is featured in "Right to Wynwood," a film about gentrification in Miami's art district. This Sunday, Dec. 1, the nomadic art gallery The Space Committee will host an informal screening of the film in one of the homes it features. FIU professor of urban sociology Marcus Feldman will participate in a panel discussion of the recent changes in the arts district, and their implications. "The neighborhood has changed for the worse," longtime resident Oria says in the film trailer. "It's not what it used to be." Read WLRN's interview with the film's creators here, and watch the trailer below. For more information on Sunday's screening event, visit The Space Committee's page.